Inasmuch as women’s subordinate status is a product of the patriarchal structures of constraint that prevail in specific contexts, pathways of women’s empowerment are likely to be “path dependent.” They will be shaped by women’s struggles to act on the constraints that prevail in their societies, as much by what they seek to defend as by what they seek to change. The universal value that many feminists claim for individual autonomy may not therefore have the same purchase in all contexts. 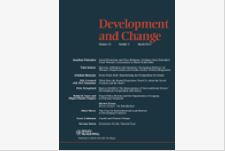 This article examines processes of empowerment as they play out in the lives of women associated with social mobilization organizations in the specific context of rural Bangladesh. It draws on their narratives to explore the collective strategies through which these organizations sought to empower the women and how they in turn drew on their newly established “communities of practice” to navigate their own pathways to wider social change. It concludes that while the value attached to social affiliations by the women in the study is clearly a product of the societies in which they have grown up, it may be no more context-specific than the apparently universal value attached to individual autonomy by many feminists.